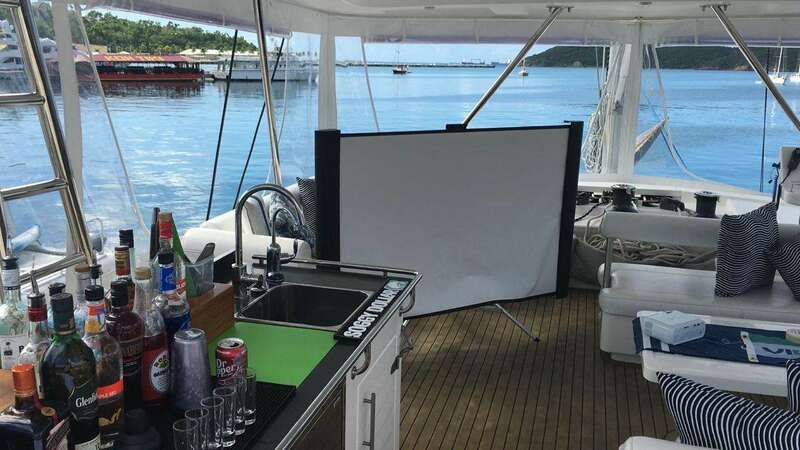 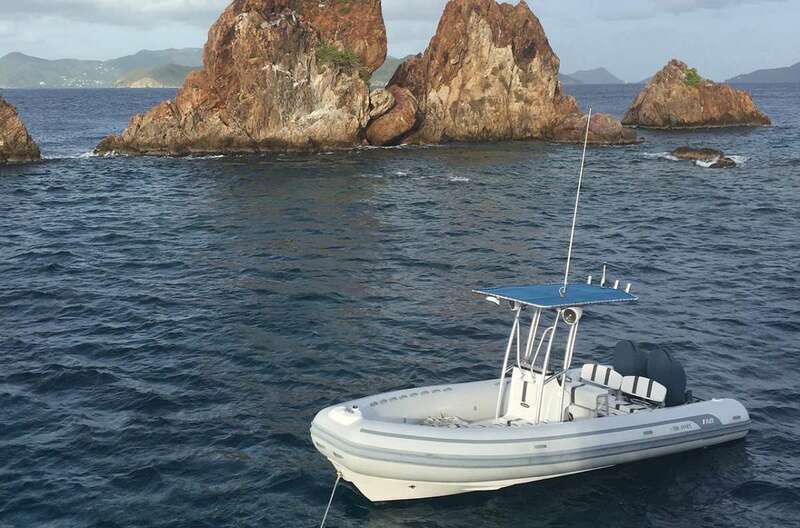 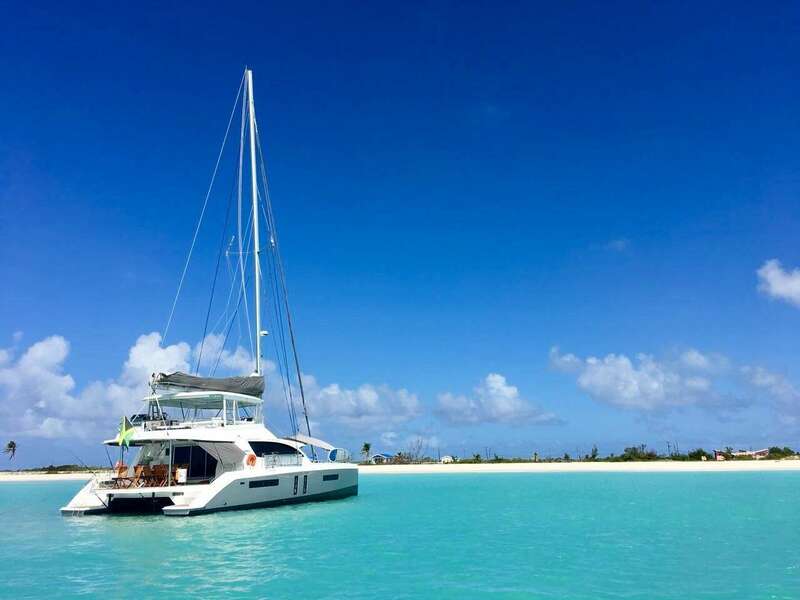 The Leopard designed catamaran THE ANNEX was launched in 2013, she has a fabulous layout for luxury cruising, offering accommodation for up to 10 charter guests, across 5 well-appointed cabins. 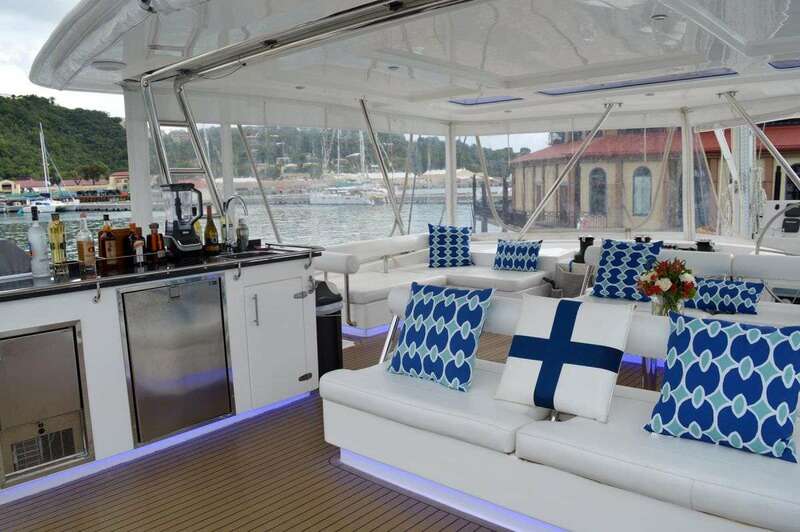 The yacht's interior is light and airy, using neutral fabrics paired with nautical blues and warm woods throughout. 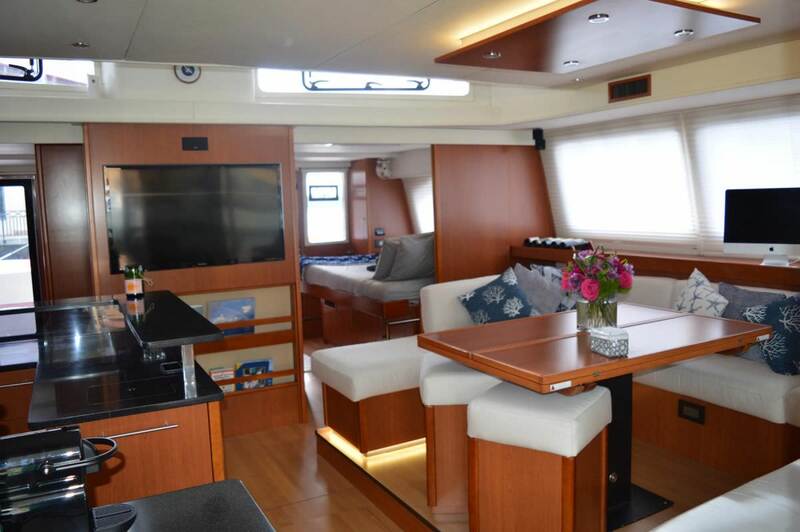 Her salon and dining is open plan with the galley up, allowing for guests to easily interact with the crew. 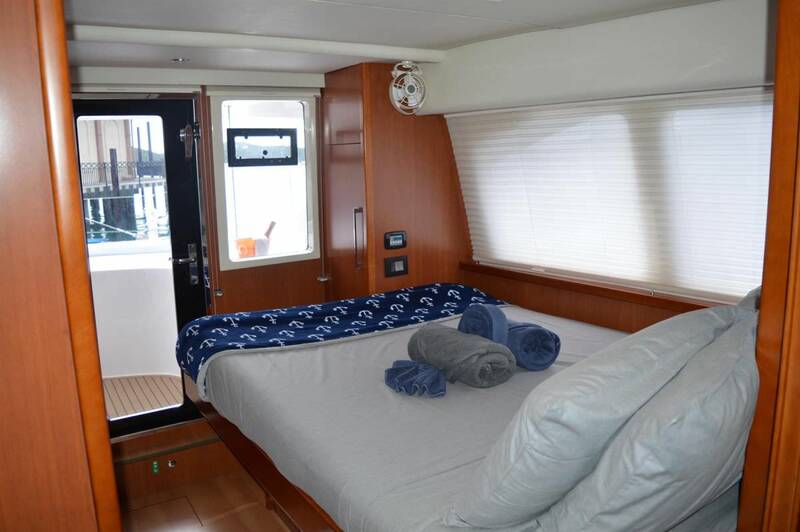 Two double cabins are situated forward of the salon, with private doors to the foredeck. 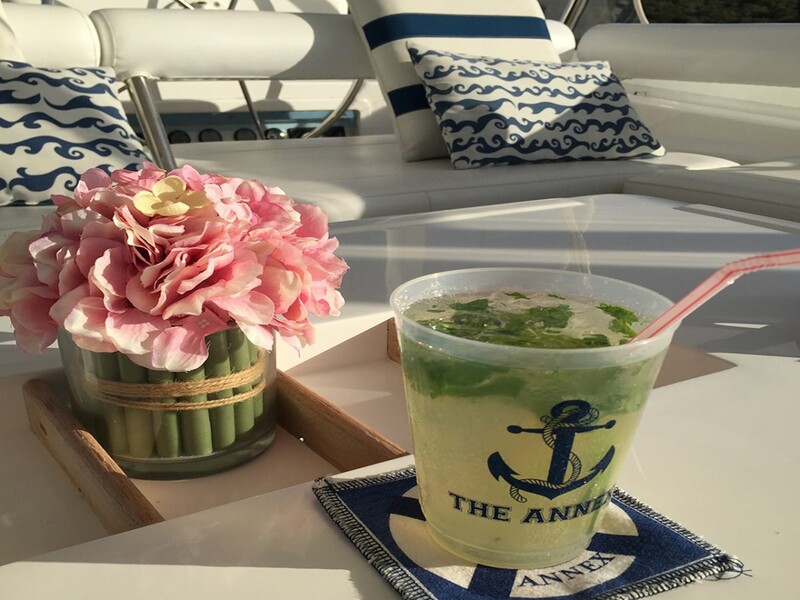 On deck, THE ANNEX has plenty of areas to socialize or simply sit back and unwind. 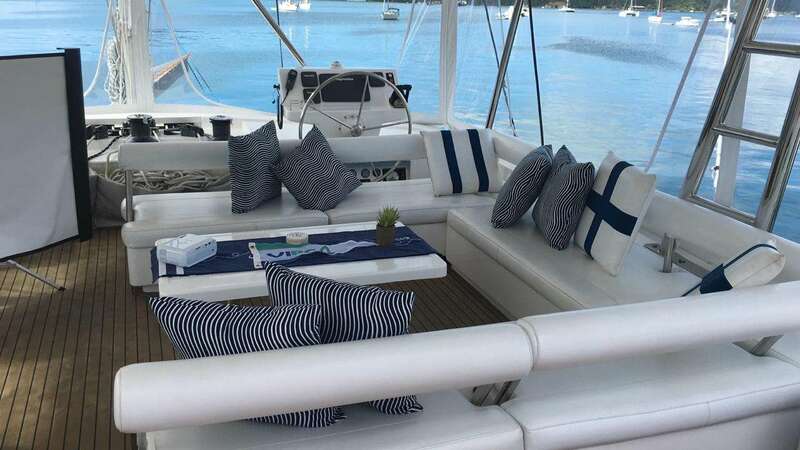 A shaded aft deck features alfresco dining, her foredeck has 2 large trampolines, ideal for sunning, and her transom provides easy access to the water. 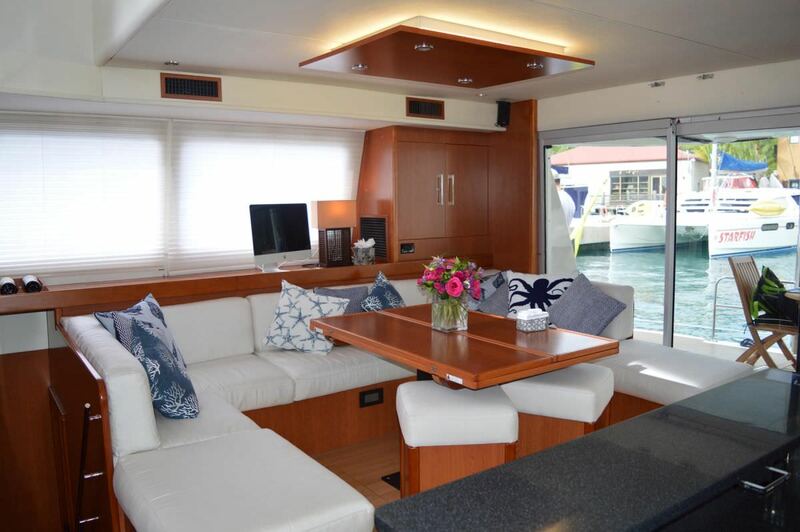 There is a generous flybridge with Bimini shade, seating, a table, bar facilities and further sunning space. 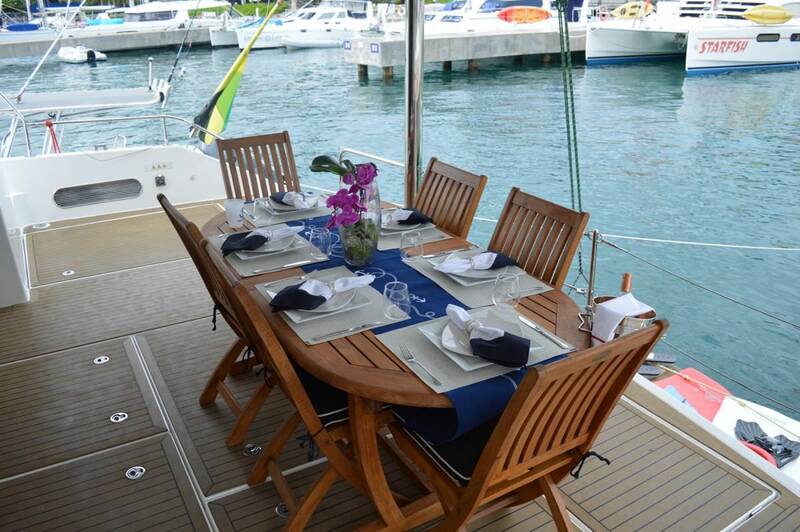 She is a sloop rigged vessel with twin 75hp engines. 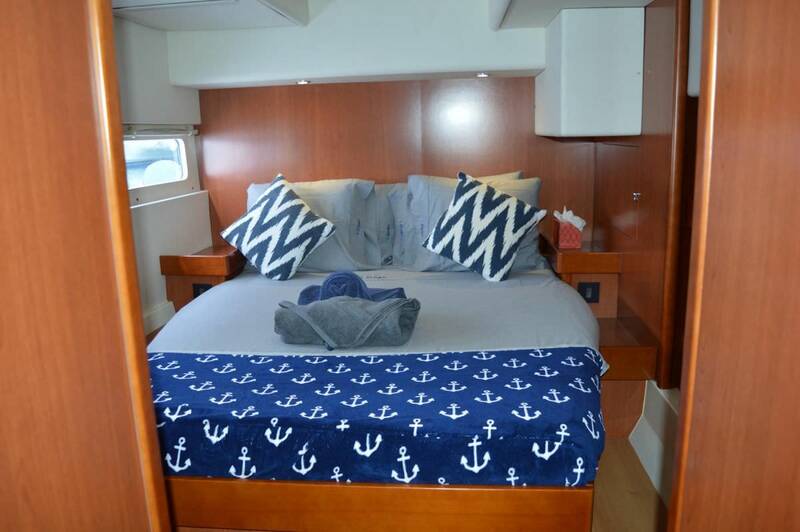 Four double and 1 twin cabin accommodate up to 10 charter guests, 2 of the cabins are situated on the main deck forward, while a further 2 double and the twin are on the lower deck. 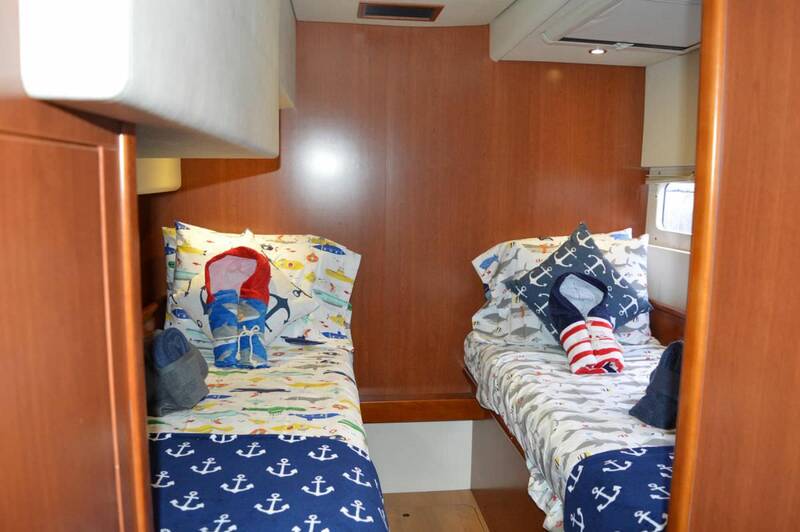 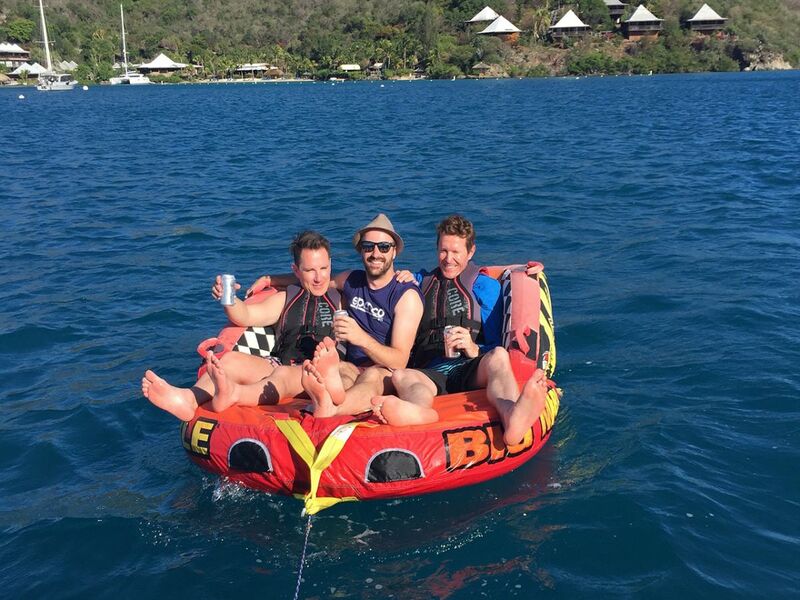 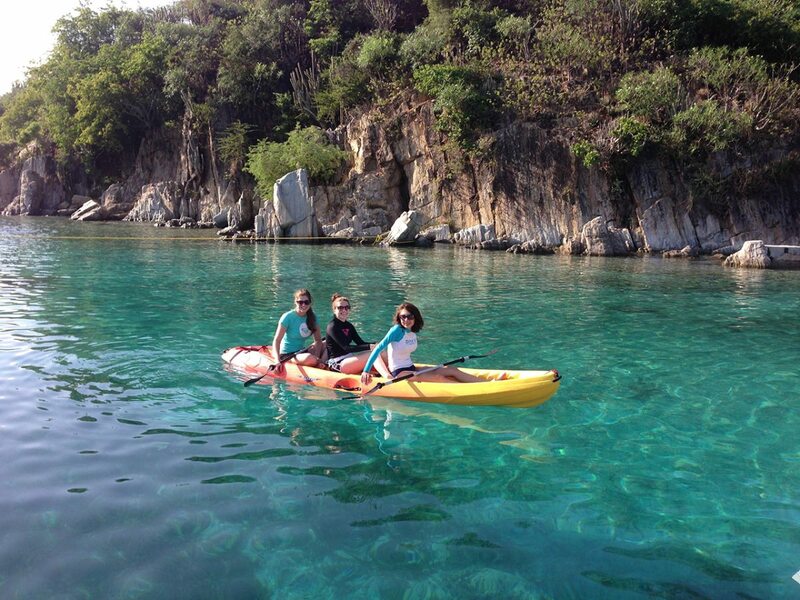 All cabins are en-suite and fully air-conditioned. 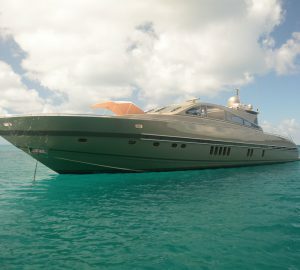 We do have available further amenity, owner and price information for the 17.6m (58') yacht THE ANNEX, so please enquire for more information.